The mean spatiotemporal variations in tropopause parameters over the tropics (±35°, in latitude) in the Indian monsoon region are examined using the upper air data for an extended period obtained from radiosonde and Radio Occultation measurements. In general, the altitude of cold point tropopause (CPT) is a minimum near the equator and increases with latitude on either side. While CPT over the entire southern tropical latitudes and northern equatorial region is cooler (higher) during boreal winter and warmer (lower) during boreal summer, the annual pattern of CPT-temperature reverses in the northern hemispheric off-equatorial region. The temperature of lapse rate tropopause (LRT) is always negatively correlated with its altitude. While the annual variation of LRT-temperature in tropics is always positively correlated with CPT-temperature, the annual variation of LRT-altitude differs mainly in the off-equatorial regions. While the altitude of the convective tropopause is positively correlated with CPT-altitude over the latitude region 20°S–5°N, they are negatively correlated at the north of 10°N. In general, the tropical tropopause layer (TTL) is very thin (~3 km) near the equator and its thickness increases with latitude on either side of the equator to reach a peak value (of ~6 km) around ±30°. A pronounced decrease in TTL-thickness observed over the northern off-equatorial region during the ASM period can be attributed to the manifestation of very deep convection over the land near the Head Bay-of-Bengal region. The TTL-lapse-rate (γTTL) is large in the equatorial region and decreases with increase in latitude. While γTTL in the northern hemispheric off-equatorial region is low during winter, it increases and becomes comparable to that over equatorial region during the ASM period. 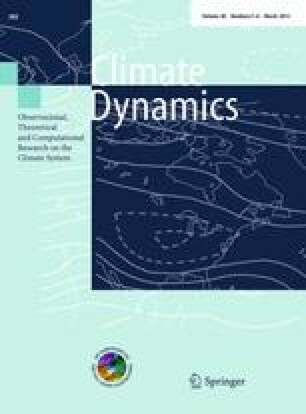 The annual variations in CPT parameters as well as the TTL- thickness are significantly modulated by quasi-biennial oscillation and the El Niño Southern Oscillation. The Radiosonde data obtained from ESRL/NOAA through their web site http://www.esrl.noaa.gov/raobs is gratefully acknowledged. We thank the NPSO, UCAR and CDAAC team for providing COSMIC–RO data through their web site http://cosmicio.cosmic.ucar.edu/cdaac. Long-term monthly mean SST data at Niño3.4 region is obtained from National Weather Service, Climate Prediction Center, NOAA website http://www.cpc.ncep.noaa.gov/data/indices. Dr. K. Parameswaran would like to acknowledge CSIR for providing support under the Emeritus Scientist scheme.